Director David Ayer apparently isn't too affected by the lack of having a Rick Flagg locked in for his big screen comic book adaptation Suicide Squad. While he hasn't provided an update on the actor search, he has decided to give us all a slight little tease, showing off his workspace, where he is in the middle of drafting the script and creating storyboards. It's impossible to read any of the words, or even make out the lone figure who we see depicted here, but it's cool to see this side of the production nonetheless. 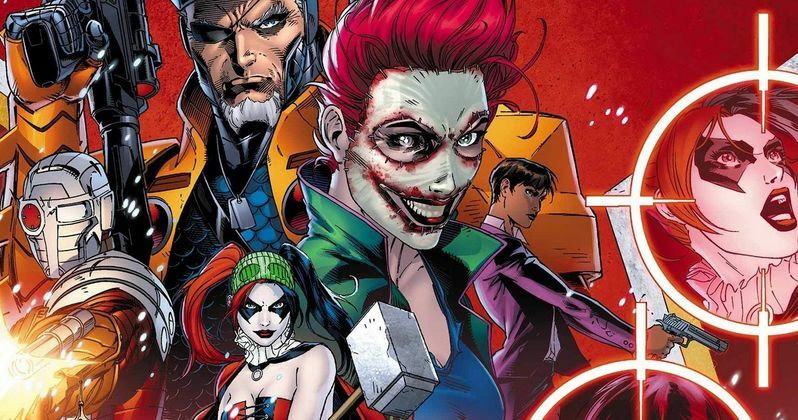 David Ayer is writing the script himself, based on the popular DC Comic about a group of super villains who go on a secret mission to clear their name. It was his latest drafted that reportedly caused Tom Hardy to step away from the project. If we're to believe the rumors swirling around the production, Hardy felt his character, Rick Flagg, was being pushed to the side to give Deadshot (Will Smith) and The Joker (Jared Leto) more screen time. Shortly after he left, it was announced that DC and Warner Bros. were pursuing Jake Gyllenhaal for the role. He turned them down. The last two names mentioned are Joel Edgerton and Jon Bernthal, two great actors who don't have the same marquee value as Tom Hardy and might be more open to a secondary role. The latest rumor making the rounds for Suicide Squad claims that Joe Manganiello is being eyed as Deathstroke, and that Gary Sinise has joined the project as General Eiling. None of this has been confirmed by the studio. While we await more casting announcements and an official start of production announcement, take a look at director David Ayer's office as he prepares to give us the second great DC Comics movie of 2016 (though, if he wants to keep that August release date, he better hurry up and find his Rick Flagg).